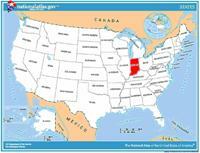 ﻿ Fun Easy English - Travel the United States of America - Indiana. Learn before you travel. This section of Fun Easy English focuses on facts and other cool stuff about your favorite U.S. state. This is great English reading practice. 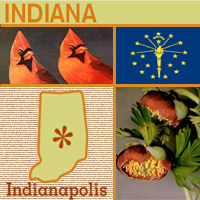 This page focuses on the state of Indiana.